and it eventually ends up being big brother against everyone. But they defend themselves well and make sure he gets his fair share too. Much to my surprise, the splashing remains friendly without any interference from me. 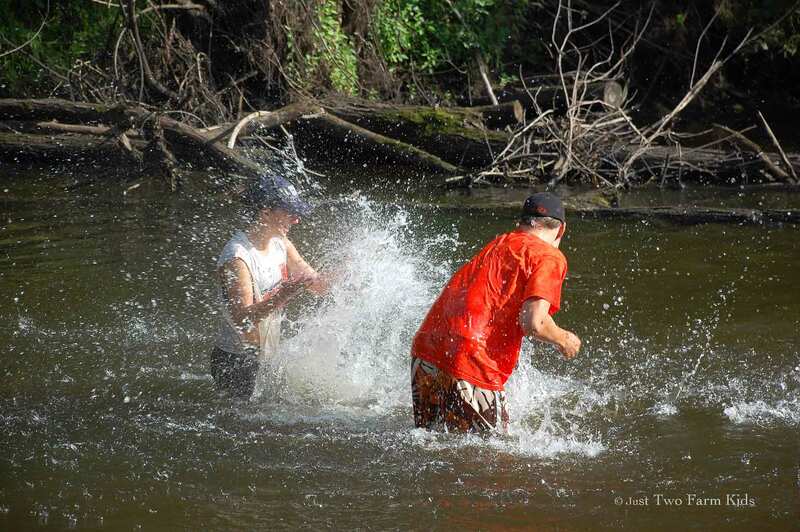 I remained on the riverbank, camera in hand, watching the fun. I do go in the water sometimes too, but I like to have shoes on. Weird, huh? Rivers freak me out a bit. It is not rational, but they just make me a little uneasy. Before long, our goal of cooling off has been well-accomplished. 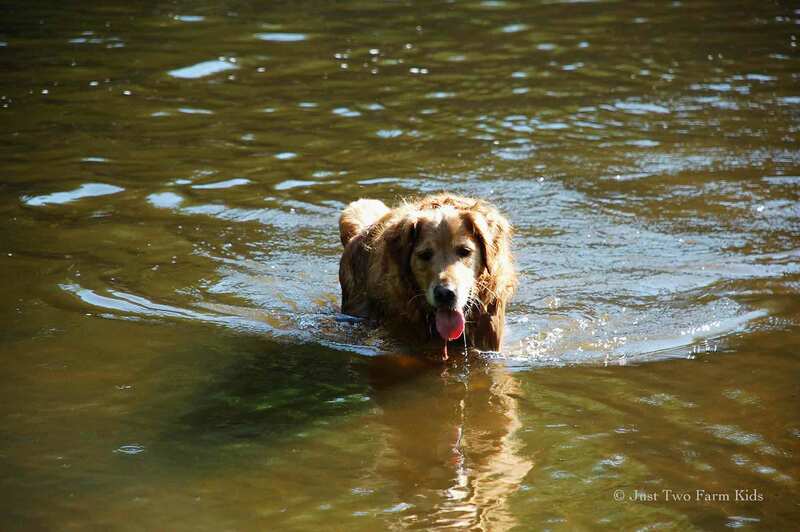 Our dog Sofie likes to go in the river to cool off too. I can’t imagine how miserable she must be with her heavy coat of fur. After walking in the water and cooling off, she usually resumes her favorite river-bottom activity…frog-hunting. She paces up and down the riverbank looking for frogs. I’m not sure why, because she never seems to catch them. She was particularly busy frog-hunting on this day that we went to the river. 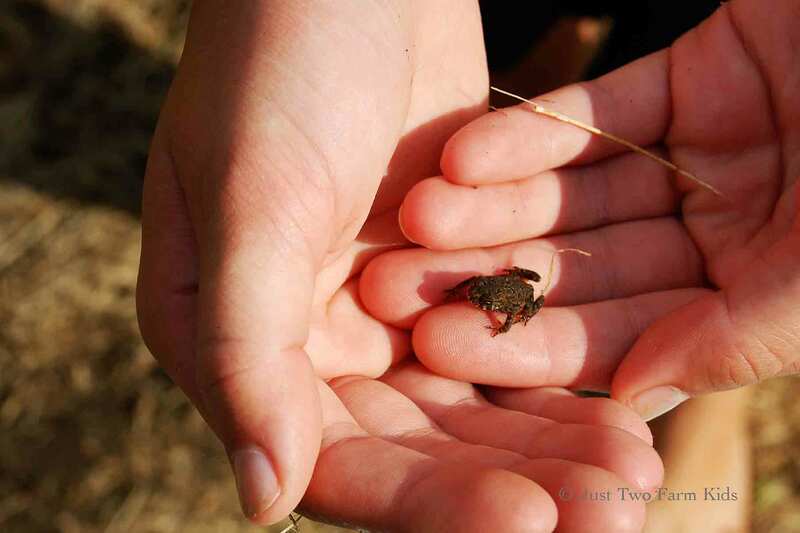 I have no idea what the life-cycle of frogs is, but there were these teeny, tiny frogs everywhere. 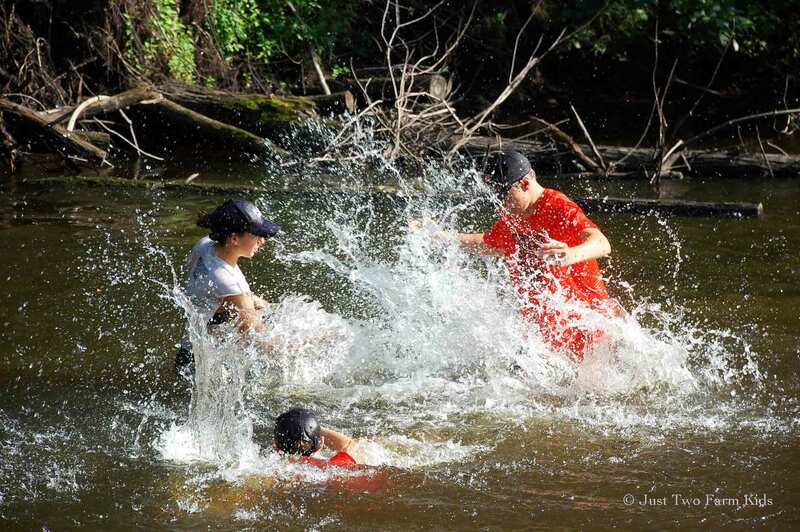 Splashing and playing in the river is one way we are managing to keep cool this summer. How about you?